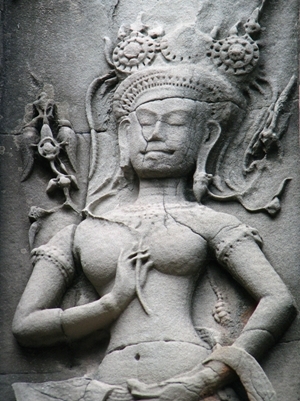 The photos in the slide show above are examples of photos from Cambodia pages. 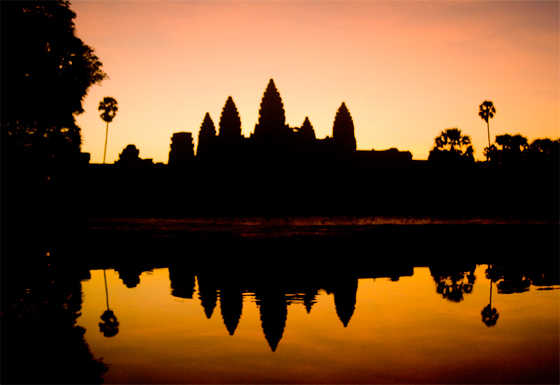 Cambodia has an area of 181,035 km2 and lies entirely within the tropics. It has borders to Thailand to the north and west, Laos to the northeast, and Vietnam to the east and southeast.Cambodia also has a coastline along the Gulf of Thailand. A vast marority of its 14 million people are ethnic Khmers. The remaining population consists of more than twenty distinct ethnic groups, most of which are small indigenous people groups, known collectively as Khmer Loeu, living in isolated mountain areas. Minority groups living in the lowlands, often among or adjacent to Khmers, include Chinese, Vietnamese and Cham.